The defending Super Bowl champion Denver Broncos may look a wee bit different this season versus last. Peyton Manning, the record holder in just about every meaningful statistic for quarterbacks, has retired and his successor was up in the air. But Denver head coach Gary Kubiak has made his decision. 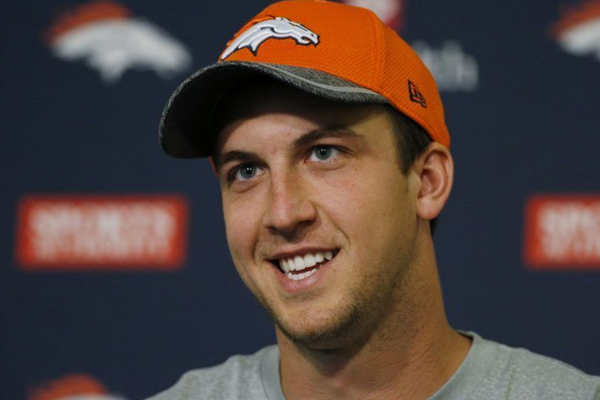 Trevor Siemian will be under center week one. Siemian had to beat our rookie Paxton Lynch and veteran Mark Sanchez for the starting nod. Denver’s defense is the reason why they won it all last year, and that will need to be the case again this year if the team is to have any success. Kubiak has not yet named Siemian’s backup. That will likely be Lynch, which would probably mean Sanchez would be released. Siemian closed the deal Saturday night with his performance in the Broncos’ preseason game against the Los Angeles Rams. But Kubiak had consistently said it was a “body of work” that would be at the root of the decision.